Lennox Davy - THE MASSACRE AT LE PARADIS - HELL IN PARADISE - MAY, 1940. Gordon Davy is pictured on the left and above is the graves registration form for Hinges Cemetery showing that Gordon is buried in plot 25. Lennox Gordon Davy, who was known as Gordon, died on May 25th, 1940, two days before the massacre. He may have lost his life as part of what has become known as Yallop's charge. 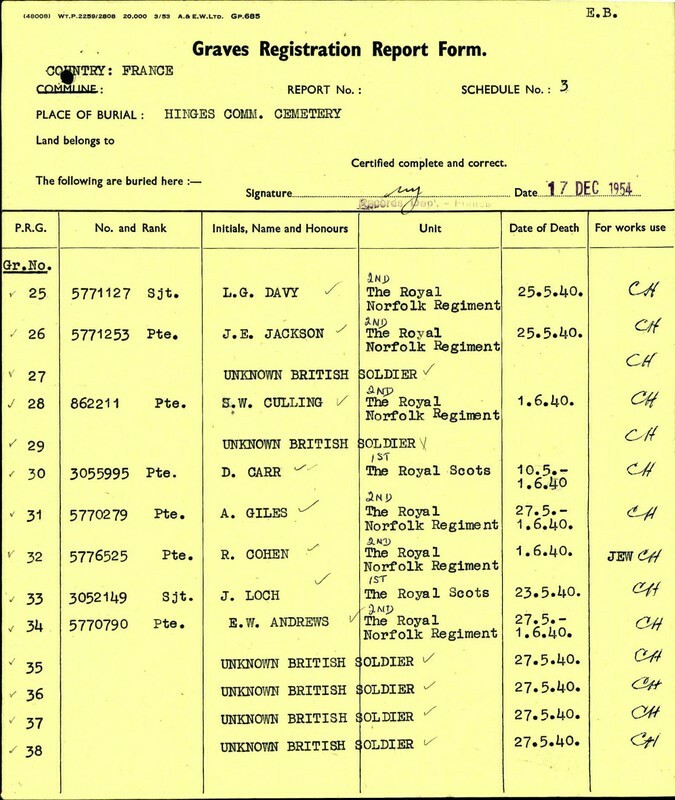 Gordon was serving with the 2nd Battalion of the Royal Norfolk Regiment and was the son of William Hall Davy and Edith Elizabeth Davy. He came from Poringland in Norfolk and is commemorated on the village war memorial. William Davy fought in France in the First World War and Gordon had a number of siblings including Bevan, Vera, Rosie, Lille, Olaf and Iris. 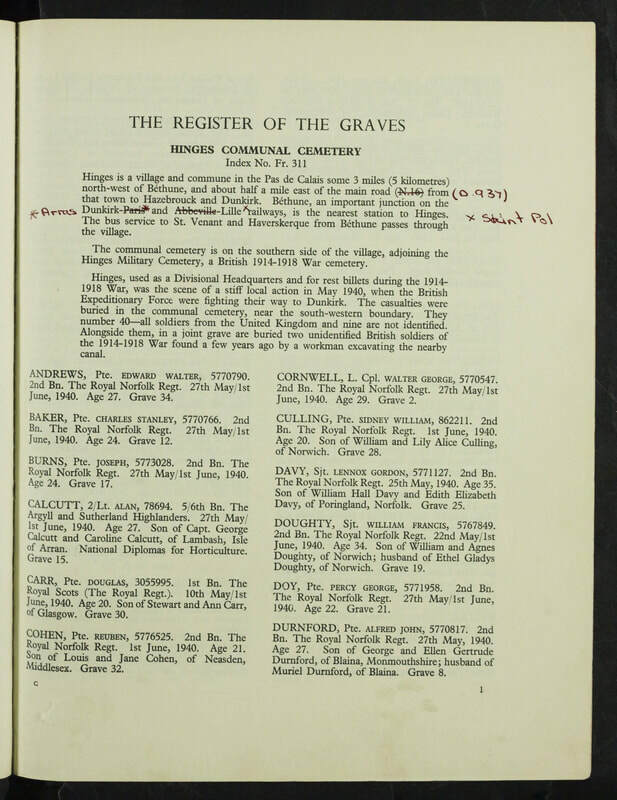 Gordon is buried in Hinges Communal Cemetery in France and below is a gallery of family photographs along with a register of graves for Hinges. Pictures are: Top left - Hinges Cemetery Graves Register. Top middle - Gordon as a corporal. Top right - Another shot of Gordon. Middle row - Gordon was a keen footballer and he is in the centre of the front row in this team shot. Bottom left - Gordon with girlfriend Ethel and sister Rosie. Bottom middle - Gordon photographed with friends. 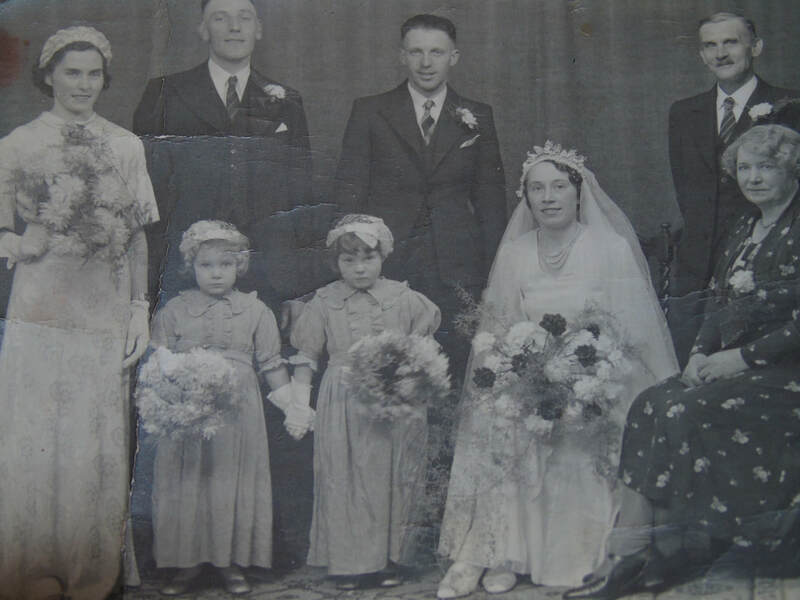 Bottom right - a family celebration at the wedding of Gordon's sister Rosie. 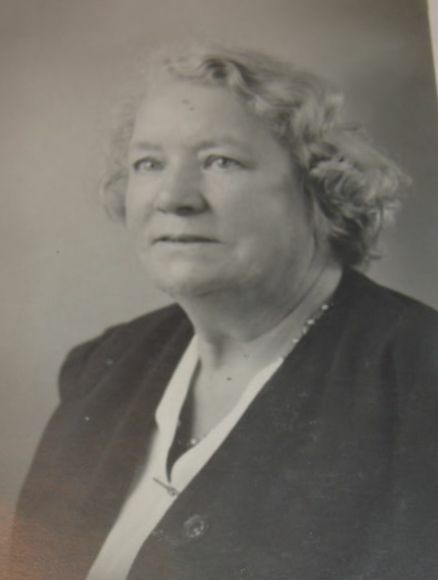 Gordon's mother Edith Elizabeth Davy.